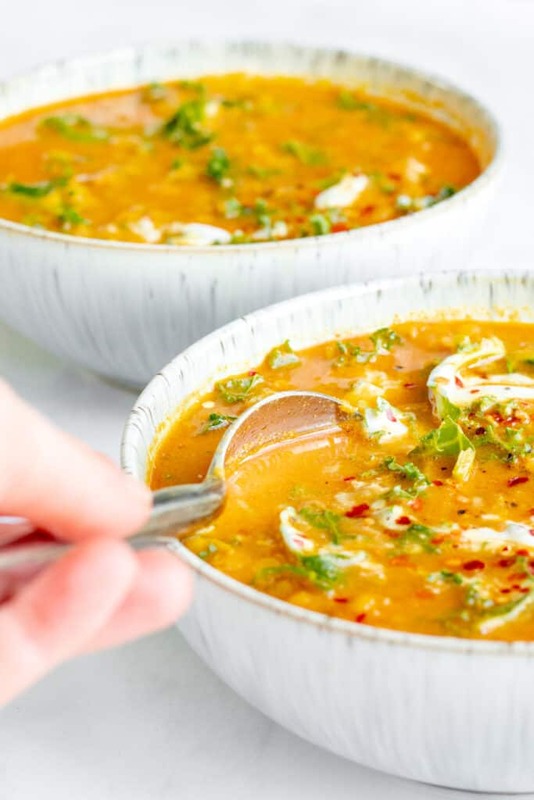 Could this turmeric lentil soup get any more souper? Apart from my terrible puns, I imagine you read this blog for healthy recipe inspiration. 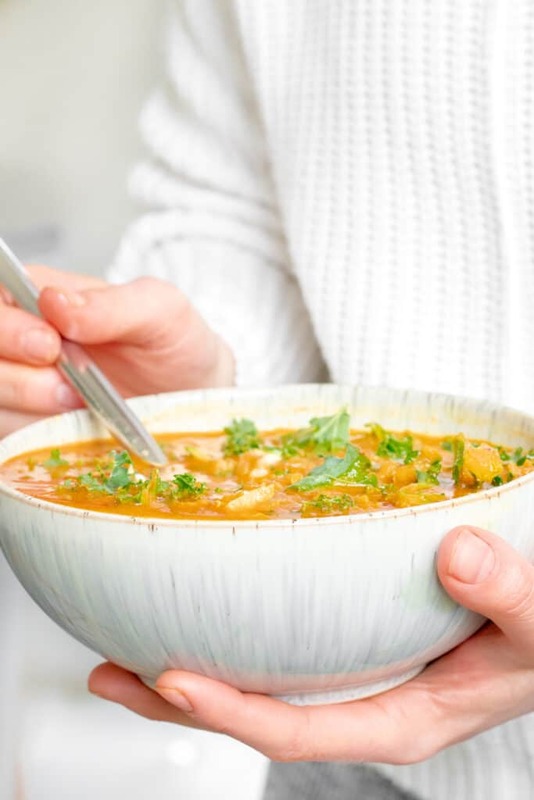 You can’t get much more ‘#health’ than turmeric lentil soup. Turmeric? Lentils? KALE?! It’s just as nourishing as it sounds. 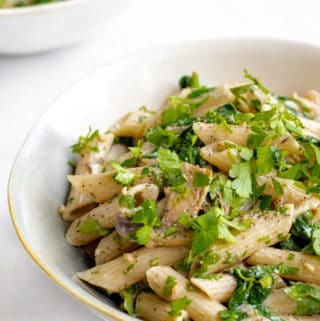 This is one of those recipes I go back to time and time again. It’s a fail-safe staple thats filling, warming, and loved by everyone. I like to make a big batch of this turmeric lentil soup and freeze it for when I know I have little time to cook. 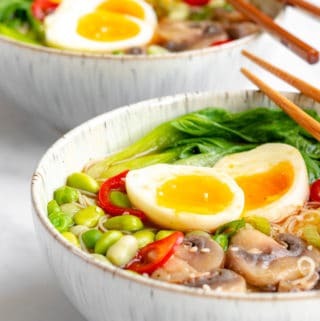 It’s also perfect when you are feeling a little under the weather – it’s a big bowl of goodness! 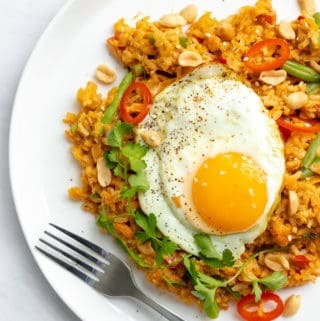 I hope you enjoy this weeks recipe. 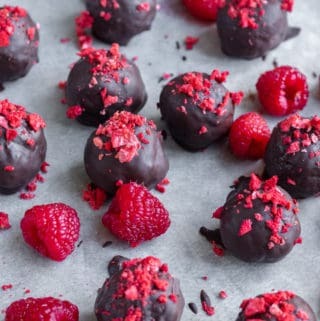 It is simple but delicious and I know you will love it! If you do make this, please let me know by tagging me in a photo on IG @georgieeatsuk or leaving me a comment down below. Keep Smiling! 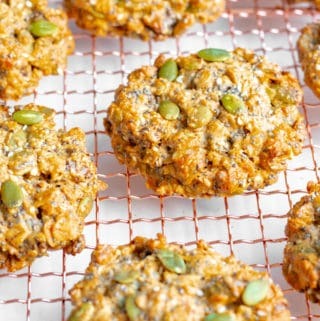 Gently spiced and packed full of veggies! 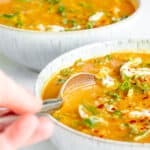 This turmeric lentil soup is easy, perfect to make ahead and utterly moreish. Vegan, GF & healthy. Heat the oil in a large saucepan over a medium heat. Add the onion and a pinch of salt and pepper and fry for 8-10 minutes, stirring regularly, until soft and translucent. Add the garlic and spice mix and continue to fry for 2 minutes or until the spices release their fragrance. Add the passata, coconut milk, red lentils, stock, 1 tsp of sea salt and plenty of black pepper into the pan. Bring everything to the boil then reduce the heat to a simmer and cook for 18-20 minutes or until the lentils are tender. Stir in the grated courgette, kale and white wine vinegar and continue to cook for 2-3 minutes or until the kale has wilted. If you find your soup is too thick here, you can add another 50ml-100ml of water. Taste and adjust the seasoning accordingly (I add another tsp of sea salt and a little more pepper here). 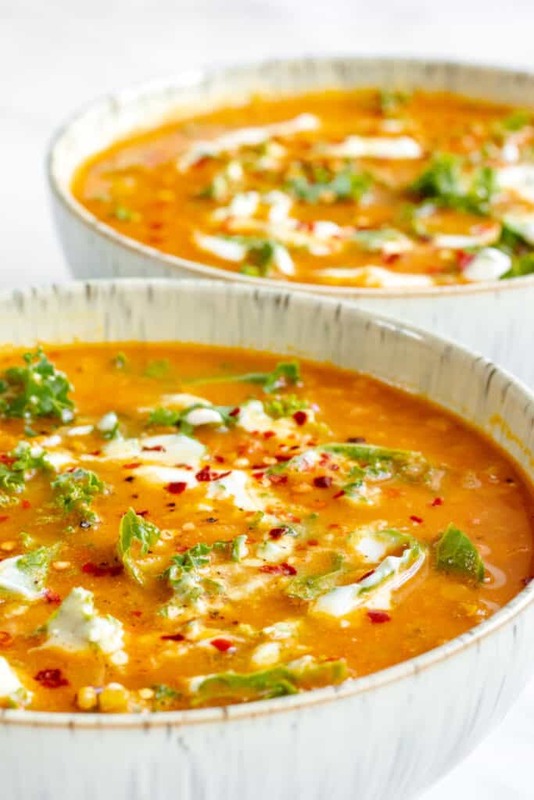 Ladle the soup into bowls and top with a dollop of coconut yoghurt and a pinch of chilli flakes. Serve whilst still piping hot. This may seem like a lot of salt to add to a soup, but remember that proper seasoning can take a dish from mediocre to amazing! Homemade soups are almost guaranteed to have less salt that the shop brought alternative, so don’t threat over it. Remember my measurements are for sea salt, if you are using table salt you will want to halve my quantities. Any leftovers can be stored in an airtight container in the fridge for up to 4 days. Just reheat over the stove until piping hot. 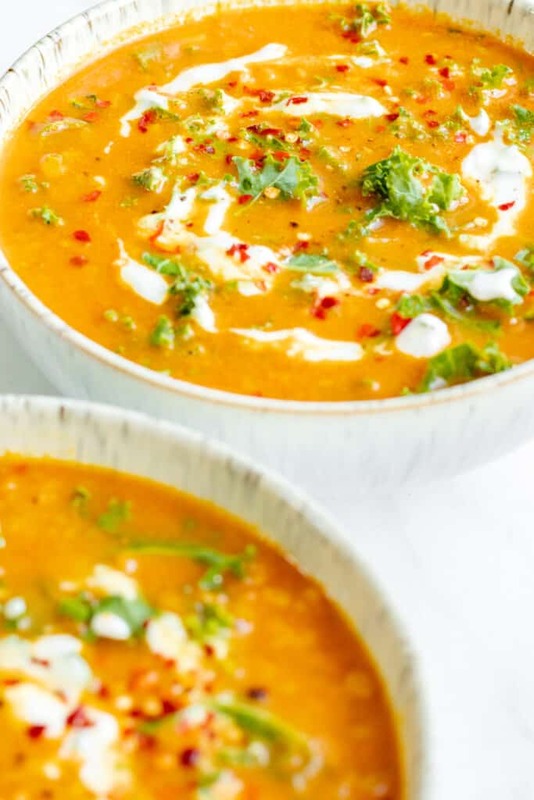 This turmeric lentil soup also freezes well for up to 3 months. Try to use a coconut milk without any added emulsifiers/stabilisers or E numbers. You can also blend together 100g of creamed coconut with 350ml of water and make your own, if you would prefer. To make my vegetable stock I use 1 and a 1/2 stock cubes dissolved in boiling water. Personally I like the Kallo Very Low Salt Stock Cubes as they do not contain any added flavourings or preservatives. If you love soup, then I am sure you will love my pea and watercress soup recipe too!